Stars return for Arsenal ahead of Liverpool clash: Gunners will also introduce trio defender Nacho Monreal and duo midfielders Alex Oxlade-Chamberlain and Thomas Rosicky. Arsenal who made an exceptional return from a defeat against Stoke City last weekend against Newcastle are ready to give their fans a good news as three stars return for the fixture against Liverpool this Sunday. Arsenal won 4-1 at the Emirates against Newcastle United and came closer to the top fourth side. Arsenal will visit Liverpool to play a Premier League game at Anfield on Sunday. Arsenal boss Arsene Wenger will be eyeing to take a revenge from last season’s 5 – 1 defeat at Anfield. With Mathieu Debuchy back already the Gunners will also introduce trio defender Nacho Monreal and duo midfielders Alex Oxlade-Chamberlain and Thomas Rosicky. 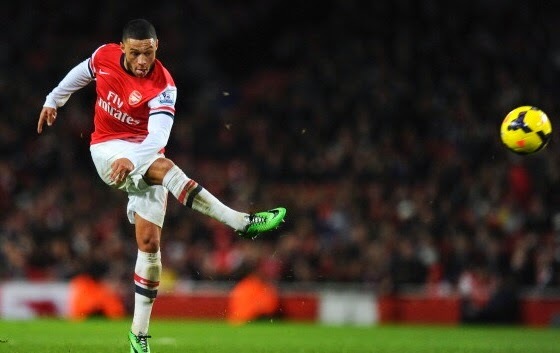 Chamberlain is likely to start this fixture while the rest two might start from the bench. Welsh midfielder Aaron Ramsey continues his recovery and is expected to return by the mid of January, while Mesut Ozil is expected to be back in first team after Liverpool clash. While on the other hand, the home side have already suffering in front of goals and Arsenal might take the advantage of the situation to beat the Reds at their home. The Reds suffered a 3 – 0 defeat against Manchester United at Old Trafford last Sunday. Daniel Sturridge is still out but Mario Balotelli has returned who is still yet to score his first Premier League goal.